Where would The Lone Ranger be without his trusted companion, Tonto? 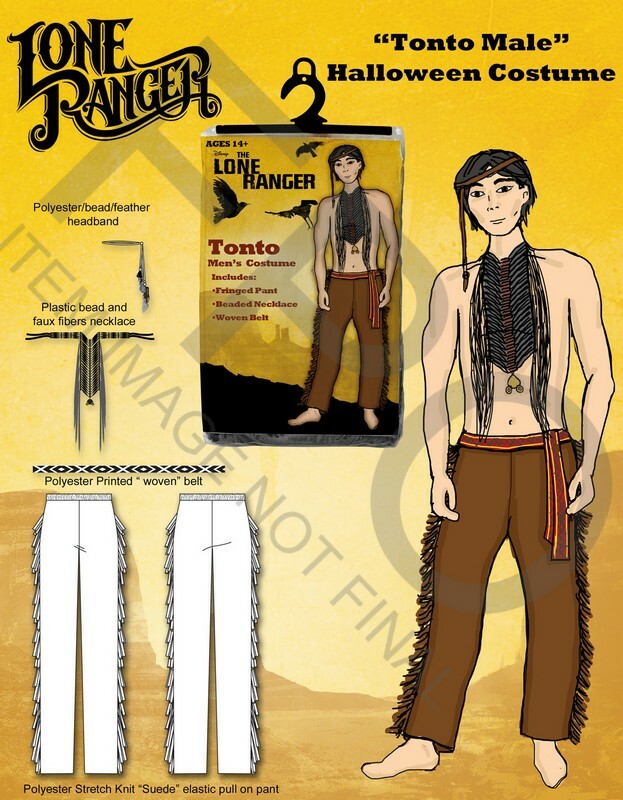 You can be a spirit warrior, too, with this men’s Tonto costume. Includes fringed faux suede pants, printed fabric necklace, woven tie belt, and feather headband. Stretch polyester is comfortable and machine washable. One size fits most.